Workouts 11-18 focus on building consistency with technique as you add a bit more weight to each workout. Download all of the workouts, including a progress tracking sheet, in PDF format here. 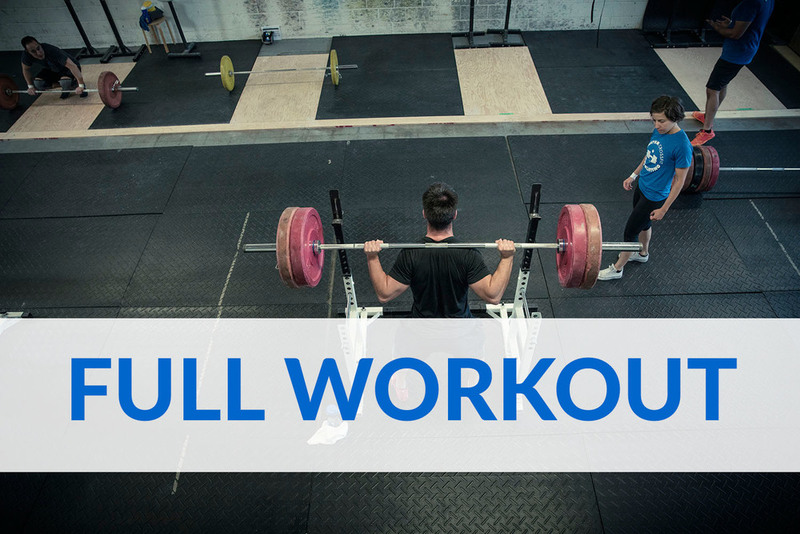 Hollow body holds serve a similar purpose to planks, this workout should be getting heavier and harder than before, work to some challenging weight on the overhead press and deadlifts but make sure you have a little left in the tank. This is the final workout of the “Learn to Lift” 18-Workout Introduction Phase! At this point you should feel relatively comfortable in your technique with the four primary movements (squat, bench, deadlift and overhead press) and have seen an improvement in your control of the bar and the amount of weight you can lift!